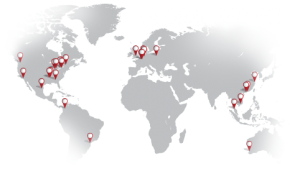 Established in 1878, Bassick produces a focused line of quality business machine and industrial solutions. 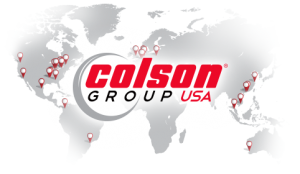 Various innovative brakes can be found throughout the low-profile and industrial Honcho offering – including the Sure-Lok Brake, which has revolutionized braking on low-profile applications. 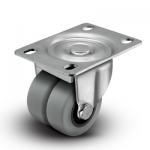 Low profile, heavy duty business machine casters can be used on copiers, business machines, vending machines, computer storage devices, refrigerated displays, electronic cabinets, as well as many other heavy duty, low profile applications. 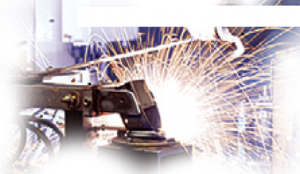 The BLS / BMS Series offers you one of the most durable caster lines we have ever produced, along with the most innovative brake design available in the marketplace today: The Sure-Lok Brake. 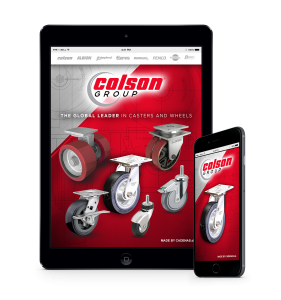 This extremely durable caster line offers you a variety of different size, wheel, and brake options- ensuring that you fully meet all of your application’s requirements. 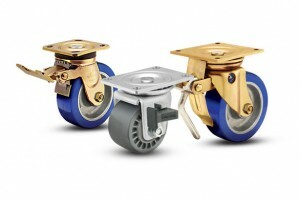 The revolutionary Sure-Lok Brake design finally makes braking these heavy duty casters an easy task. Designed to achieve the highest load capacity in a sleek, low profile design. The BDS / BDR Series combines ultimate performance and design in a low overall profile that is capable of carrying high load capacities. A highly polished chrome finish details the stylish design of the BDS / BDR Series, helping add even more style to your product. 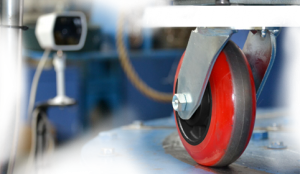 The soft non-marking precision bearing wheels will truly impress you as your product moves and pivots with ease. The 00 Series is the perfect solution for a low profile application that requires heavier load capacities. The 00 Series is available in a dual or single wheel configuration with a variety of wheel types and fastening options to choose from. The optional brake design also offers a large brake lever for easy activation when locking your unit into place. The low overall height and high load capacities make the 00 Series a popular caster selection for store fixtures, electronic equipment, and business machines. 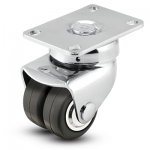 Bassick Honcho Casters are designed to withstand nearly any medium- or heavy-duty need. 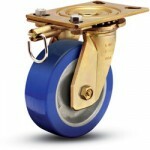 Our popular blue Honcho wheel allows weight capacities up to 1,750 lbs per caster. 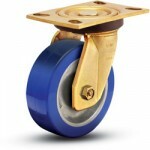 The yellow dichromatic finish provides added corrosion resistance, improving caster longevity. Simply the most popular Honcho Series Bassick has ever produced in the medium / heavy duty market, the AS / AR Series is sure to deliver the quality and value you are looking for in your medium / heavy needs. Featuring the blue Honcho Urethane on Aluminum Wheel, along with a host of other wheel options, your platform truck or material handling equipment will receive the long mobility life you demand throughout your harshest abuse. A variety of size and brake options are also available in this rugged caster series. With impact and abuse in mind, the design of the ES / ER Series was sent into production. Featuring a drawn single piece leg construction, heat treated raceways, and the ever popular blue Honcho Urethane on Aluminum Wheel, this series will provide your towline or freight terminal trucks with the ongoing durability needed continue the job. The husky king pin and large diameter raceways will also provide the impact and abuse resistance needed to ensure your product maintains its mobility throughout the harshest abuse. Carrying a 1,750 lb. 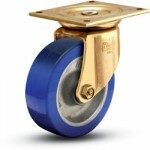 dynamic load rating per caster- the HS / HR Series will be sure to impress you throughout your most abusive applications. 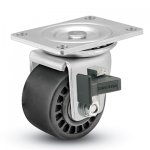 These impact resistant casters are ideal for power handling and other highly abusive operating conditions that are frequently used on rough and uneven surfaces. 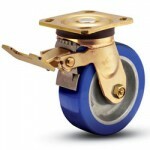 The HS / HR Series features the strong and dependable 2-1/2″ wide blue Honcho Urethane on Aluminum Wheel, ensuring your product remains mobile throughout the harshest environments. The OS / OR Series offers you the most durable caster line Bassick has ever produced in a 2″ wide series- carrying some of the highest load ratings offered in the marketplace today. 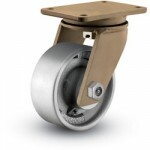 With oversized heat treated raceways and a heavy interlocking king pin, this series is built to handle the heavy impacts and abuse that other casters typically will not withstand. The HA / HB Series is simply one of the best casters available for your heavy duty fixture truck, engine stand, or assembly line dolly. These heavy, rugged casters are manufactured to the highest quality; combining free swiveling with trouble free performance and long life. Featuring heavy forged steel top plate and legs, a tapered rolling bearing for the king pin load, and a 1″ Kingbolt that is integrally forged into the top plate, the HA / HB Series will be sure to give your product the absolute best in performance and value. Bassick Honcho Casters are currently available by custom order only. Please contact us today for more information.